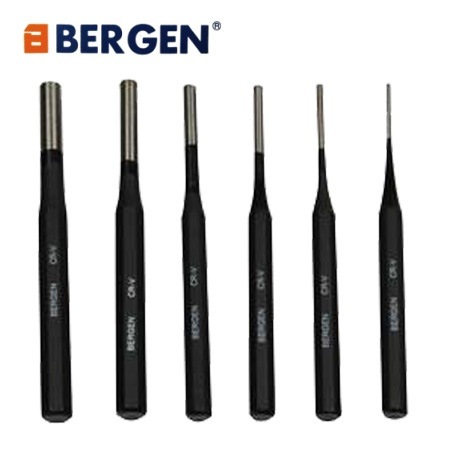 Bergen Tools 6pc parallel pin punch set. 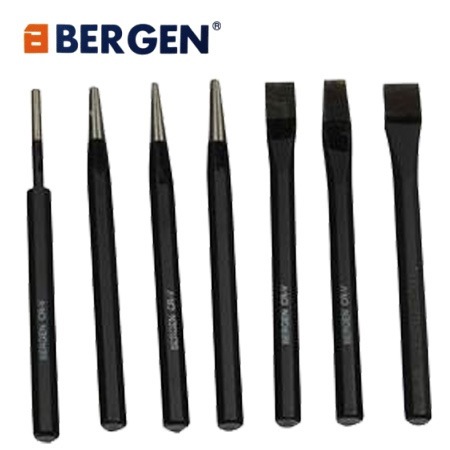 Professionally made pin punches using Chrome Vanadium Steel with a matt black finish. Hexagonal body construction. Dimensions 150 x 2.5mm, 150 x 3.5mm, 150 x 4.5mm, 150 x 6mm, 150 x 8mm and 150 x 10mm. 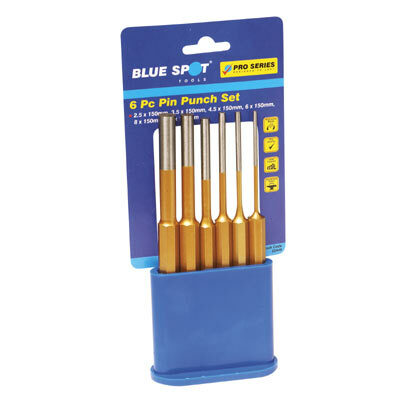 Comes complete with a robust canvas storage roll with velcro strap to protect your punches when they are not in use (currently orange).